Oxford is a fascinating city for old and young alike, and there is always plenty to intrigue and entertain the inquisitive mind. 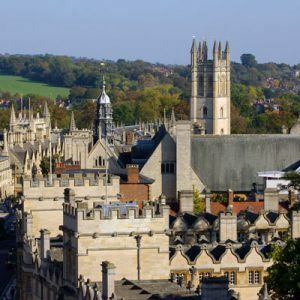 A short walking tour of Oxford lasting 1½ hours and incorporating most of the main sights, but concentrating on the many aspects of Oxford which will be of most interest to children. This is one of our regular itineraries, and full details are included on our main Walking Tours page. To enhance the appeal to our younger visitors, this tour includes references to popular children’s literature and culture, such as the Harry Potter filming locations, the tales of Alice in Wonderland, the epic fantasies of J.R.R. Tolkien (Lord of the Rings) and C.S. Lewis (the Narnia Chronicles). 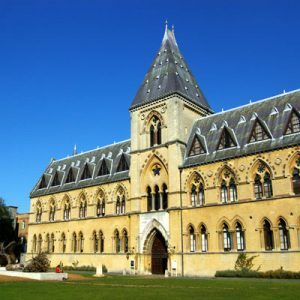 The walk can include an optional visit to the University Museum of Natural History and/or the intriguing Pitt Rivers Museum. 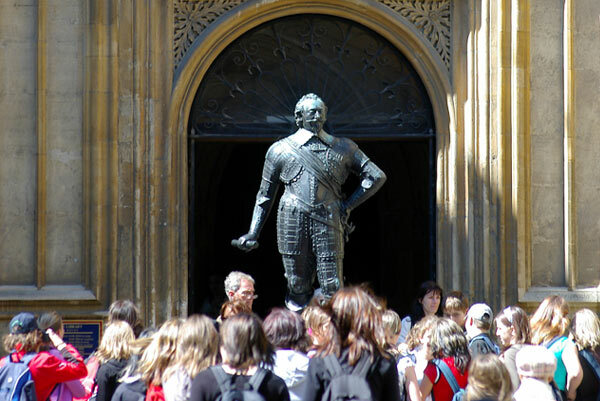 We are also able to create other bespoke themed tours that may have significant appeal for younger visitors to Oxford. One of the most popular is our Harry Potter tour, which visits all the principal sites within the city where scenes from the Harry Potter movies were filmed. 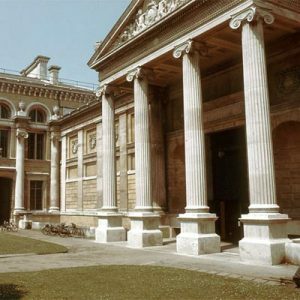 With a new three-series, 20-part adaptation of Philip Pullman’s His Dark Materials trilogy now in production for the BBC, Oxford is due to become the setting for another major small-screen spectacular, and we can already tailor a walking tour to visit the key locations for Lyra’s Oxford. An excellent sightseeing alternative for children who get bored easily or who might find a walking tour too tiring. 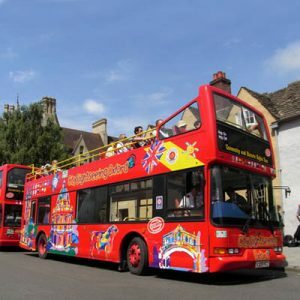 This double-decker bus tour includes most of the main sights in Oxford and takes approximately one hour – if you stay on the bus for the whole tour. Alternatively, you can get on and off the bus as many times as you like at any of the twenty stops to go exploring. The bus departs from Oxford Railway Station or the Gloucester Green bus station approximately every 15 minutes from 0930 until 1600 (November – February) and 1800 (April to September). Some of the buses have English-speaking guides and others have taped commentaries in up to 11 languages. A wonderful place to spend an afternoon and it’s free! The Natural History Museum on Park Road houses an extensive collection of insects, fossils, rocks and local dinosaur finds. There is also a 40-foot Tyrannosaurus rex, an observation beehive and Alice in Wonderland’s Dodo. The building itself is one of the finest examples of Victorian Gothic architecture with a wealth of naturalist carving and a huge glass roof over the central museum court, which is supported by cast iron shafts. Children’s activities take place every Sunday from 2.00 – 4.00 and it has a small shop which has books, dinosaur kits, fossils and puzzles etc. The Pitt Rivers Museum is a real Aladdin’s cave of treasure and various curios including clothing, weapons, musical instruments, a totem pole, a witch in a bottle and a gruesome collection of shrunken heads! Open Mon-Sat 12.00 – 4.30 p.m., Sun 2.00 – 4.30 p.m. Check out the websites for the Pitt Rivers Museum and The University Museum of Natural History. Britain’s oldest museum housing the University’s impressive collections of British, European, Egyptian and Near Eastern antiquities. There are also European paintings and drawings from the Renaissance to the 20th Century, sculpture, silver, ceramics and musical instruments as well as coins and medals. Oriental art includes Chinese, Japanese, Islamic and Indian metalwork, ceramics, paintings, textiles and sculpture. Children will be particularly interested in the Egyptian mummies, King Alfred’s jewel, Guy Fawkes’ lantern, Henry 8th’s hawking glove and stirrups and Powhatan’s mantle! Open: Tuesday – Saturday 10.00 – 5.00 p.m., Sunday 12.00 – 5.00 p.m. Closed on Monday. Visit the website for The Ashmolean Museum. 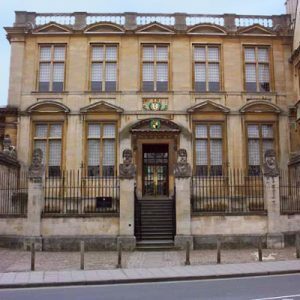 This museum is housed in the old Ashmolean Building, the oldest public museum building in the country, opened in 1683. The exhibits include scientific instruments dating back to antiquity, Islamic and European astrolabes, a fine collection of early chemical apparatus , watches and clocks, medical instruments, the original penicillin apparatus and Einstein’s blackboard. A must for keen young scientists! Open: Tuesday to Saturday 12.00 – 4.00 p.m. Sunday 2.00 to 5.00 p.m. Closed on Monday. Explore the website for the Museum of the History of Science. 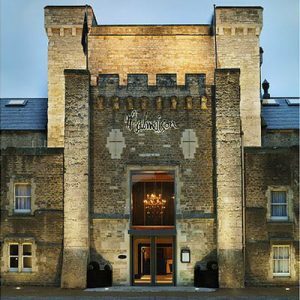 Visit Oxford’s newly ‘unlocked’ castle. The castle was originally built in 1071 by the Norman Robert d’Oilly and became a prison in 1785. It remained as a prison until it closed in 1996. Although the buildings of the castle are now mainly in ruins you can still see the mound of the original ‘motte and bailey’. The old buildings of the prison have been preserved and you can see the ‘Debtors Tower’, prison D-wing and experience the dark atmosphere of the 900 year old underground crypt. You can also climb the Saxon St George’s Tower and enjoy panoramic views of the city of Oxford. The tour will tell you about some of Oxford Castle’s darkest secrets, including stories of great escapes and the Oxford Castle Curse! Some of the prison buildings have been converted into the new luxury Malmaison ‘Oxford Castle Hotel’ and the Castle Complex includes some excellent shops and restaurants. For admission charges, please visit the Oxford Castle website. Discounts may be available by booking on line. For further information, telephone 01865 260666 or visit the website for Oxford Castle. A modest admission fee is charged. Steep spiral staircase but excellent views at the top. Best tower to visit with little ones as the gaps in the balustrade are all reinforced with thick metal mesh, making it safer. This is not a tower but you can climb up to the cupola at the top for a bird’s eye view of the city and it has the added advantage of being under cover if it is cold or wet. Older children will find the inside of the domed roof fascinating. Open Mon-Fri 10:00-12:30 and 14:00-16:30. Closes at 15:30 between November and February. 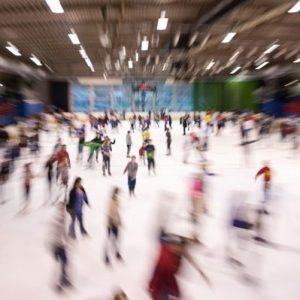 If the kids need a break from sightseeing you can take them ice-skating at the Oxford Ice Rink. Public sessions normally take place daily from 10.00 – 12.00 then from 2.00 – 4.00 and from 7.00 – 9.00 p.m. However, do check these times by ringing 01865 – 467000. Don’t forget to take gloves and thick socks! An admission fee is charged, with skate hire included. To check out forthcoming events and further information, visit the rink’s website. 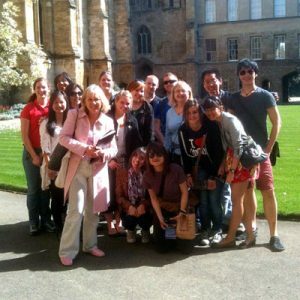 Explore Oxford Tours can arrange educational sightseeing programmes for school groups. We have a team of guides specialised in conducting tours for children and school groups. 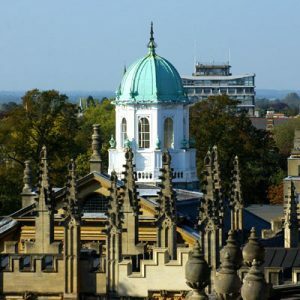 These tours can range from simple historical tours of the city of Oxford and the University to tours with educational themes such as children’s literature, The Tudors, The Normans and Anglo-Saxons, settlement patterns/development of cities and many other themes. The tour can be tailored to include any theme you want and tours can be conducted in a variety of languages, including French, Spanish, German, Italian, Russian, Dutch and Japanese. Situated in the picturesque town of Woodstock, about 20 minutes drive from the centre of Oxford or 30 minutes by bus. 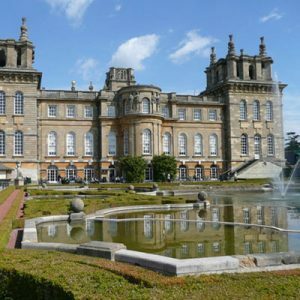 Blenheim was the birthplace of Winston Churchill and is the home of the Duke of Marlborough. You can visit the Palace rooms or just walk around the park. The extensive grounds offer a variety of walks, a lake which offers boat rides in the Summer and a community of very accommodating ducks and geese if you have keen duck feeders! 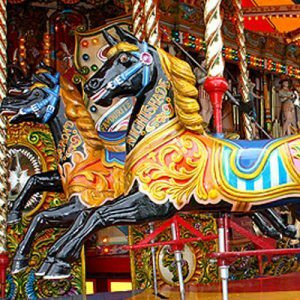 Take the miniature train ride to the Pleasure Gardens, which include a large maze, pitch and putt, giant chess and draughts and an adventure playground. There is also a picnic area and a café, which offers a variety of hot and cold snacks and excellent ice-cream! Highly recommended. A good time usually had by all! 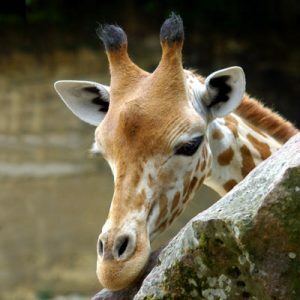 Oxfordshire’s nearest thing to a zoo is about 40 minutes drive from Oxford city centre. These spacious parklands and landscaped gardens are home to many varieties of ‘wild’ animals, including lions, cheetahs, camels, zebras, rhinos, monkeys, wallabies, penguins and many types of birds and reptiles. There is also a ‘petting’ area of farm animals, an adventure playground, miniature railway, café and picnic area. This offers an excellent day out. About 30 minutes drive from the city centre. 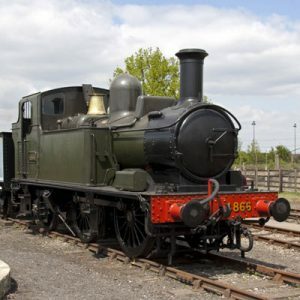 Little boys and big boys particularly will enjoy looking at the collection of full size steam engines. Rides on trains are available on the first and last Sunday in the month (more in summer) and children can climb into drivers’ cabs. There is also a museum, café and a picnic area. For Thomas the Tank Engine fans there are often special ‘Thomas’ events and there is an excellent shop with Thomas merchandise. Open: Daily 11.00 to 5.00 (May-Sept). Limited facilities Oct- Apr. 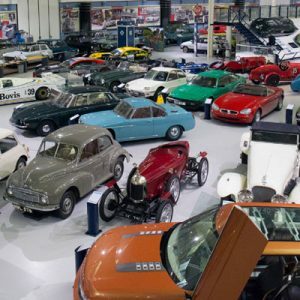 An amazing variety of motor transport vehicles from the first Victorian contraptions to the latest hi-tech models are on display at Gaydon, with plenty to see and do for all the family. Experiment with car design using magnetic Mini body panels, or make a Land Rover from cardboard cut outs. At weekends and during school holidays there are go-karts for over 8’s and electric cars for 3 – 7 year olds. About 40 minutes drive from the centre of Oxford. 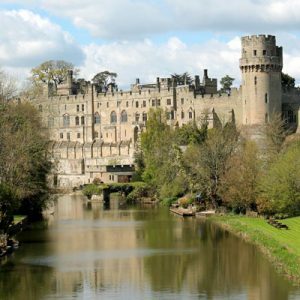 Warwick Castle offers an excellent day out, particularly if you have kids who like climbing towers and exploring dungeons and haunted turrets! Extensive grounds, atmospheric café, variety of souvenir shops with plenty of swords, bows and arrows and jousting kits! Excellent exhibition of wax models in medieval costume. The nearest theme parks are approximately one hour’s drive from Oxford, so you need to allow a full day for this. You can save time and money by taking a picnic. Remember weekends and school holidays are busy so you will spend less time queuing if you go on a weekday during school term time. This family theme park is about two miles from Windsor on the Bracknell to Ascot road (B3022). The drive from Oxford will take approximately 75 minutes via the M40 and/or M4 motorways, so allow a full day. The park is well signposted from the M4. Once inside, there is a wonderful selection of rides and entertainments to suit children of all ages, all on a “Lego” theme. Height restrictions apply on some rides. There is also a Duplo Playtown, adventure playground, puppet theatres, live shows, children’s driving school and train. Plenty of places to eat and shops selling Lego and souvenirs. 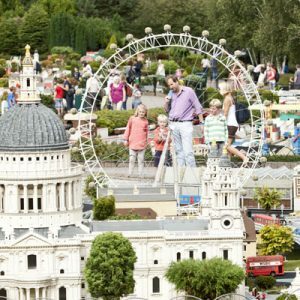 Don’t miss the amazing Lego model of Europe – definitely one of the highlights of the park. Prices: For latest prices and information please visit the Legoland website. Please note that cheaper deals are generally available on-line. 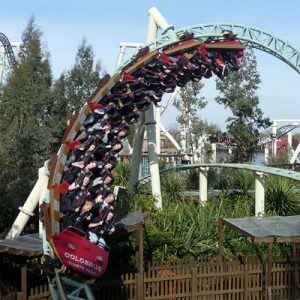 This is a large theme park with great variety of ‘big-thrill’ rides with imposing names such as Nemesis Inferno, Colossus and Vortex! (not for the faint-hearted!). Thorpe Park also has a man-made sandy beach and plenty of water/splashy rides. Although there are some attractions for tots the park is probably better for children from 8 upwards, as they will be able to go on most of the rides. Situated about 75 minutes drive from Oxford via the M40 and M25 (exit either at Junction 11 or 13 and follow A320 to Thorpe Park). Prices: For latest prices and information please visit the Thorpe Park website. This smaller theme park is located in Milton Keynes, about one-hour’s drive from Oxford via the M40, A43 and B420 (around Buckingham). There is a good selection of rides, including roller coasters, a pirate ship and a water-splash ride, an adventure playground, indoor play area and several places to eat. This is an excellent choice for children under 12 as there is nothing too scary! This is also great value for money. Only 1.30 hours drive from Oxford is the Warner Brothers Studio, where the Harry Potter films were made. 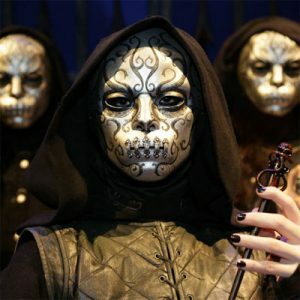 Why not visit the studios where this iconic series was filmed and see some of the special effects, costumes and props used to create the memorable scenes, which are loved by people of all ages? This is an ideal day out, especially for those customers who have done our Harry Potter themed Walking Tour tour of Oxford. Please visit the Warner Brothers Studio Tour website for information and prices. For group/school prices please Contact us. If there’s a particular attraction you’d like to visit – Please ask!